A Guernsey based Charity organisation offering specialist tuition, assessments, support and advice to anyone affected by dyslexia. difficulty that primarily affects the skills involved in the reading and spelling of words. Based at KGV in Castel, we are a charitable organisation which trains and employs teachers to help children with dyslexia. 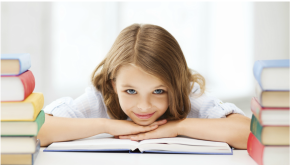 We offer specialist tuition, assessments, support, advice and courses to anyone affected by dyslexia.